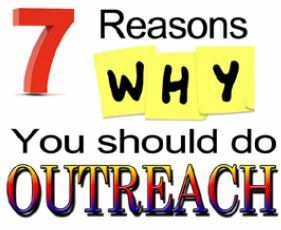 Introduction to Outreach Activities Article by Michelle Jordan and various authors. Modeling trade-offs between light capture and electron transport on a solar cell using an interactive game. Participants will learn how the silicon wafer and the metal contacts differ in their effect on the solar cell’s overall efficiency and how optimization must reach a happy medium between the materials’ surface areas to maximize efficiency. 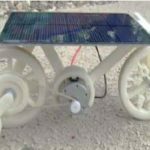 The Sol Cycle is a miniature, 3D-printable bicycle that uses solar power to run a small motor that turns the wheels. We cover three broad subjects in this lesson: renewable energy (solar), physics (including speed, distance, Ohm’s law), and engineering design (3D modeling and printing). 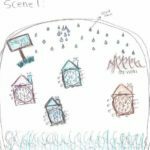 This lesson plan can be tailored to your needs and the interests of your students. Visit the Sol Cycle Website! a ride, conduct interviews with potential “customers” about what they like best in a park ride, use Google to gather information), brainstorm alternative solutions, evaluate possible solutions, create and test prototypes, and re-design to optimize their solutions. 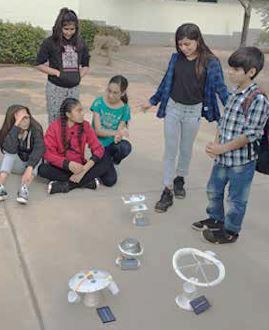 In this activity students learn about using renewable energy from the sun for heating and cooking as they design and build a solar oven and compare its performance to others’ designs. 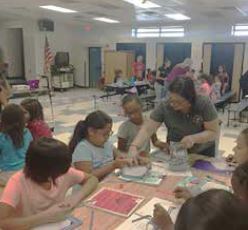 They explore the concepts of insulation, reflection, absorption, conduction and convection. 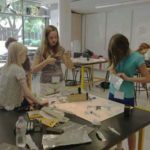 They also utilize and apply information that they have gained from a previous activity that introduces them to properties of various materials to in order to construct a solar oven. 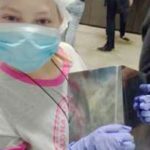 o	Solar Cooking – everything you would ever want to know about solar cooking and making your own solar ovens!!! Participants begin to analyze their personal use energy consumption, and how their behaviors correlate to the costs involved with selected lifestyle choices. 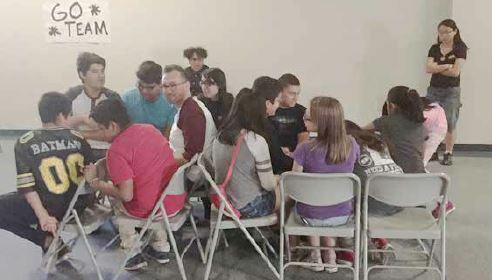 Working in teams and drawing from the electrical grid, they plug their items into Kill-A-Watt device, take periodic readings, graph the data, report the average, and discuss how much power common electric devices require. They then discuss lifestyle changes based on their analysis of the results. Dollar Tree stores sell a variety of solar-powered items, like garden lamps or desk lamps. 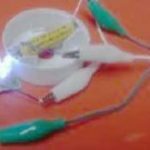 In this document, we detail how to hack two different $1 solar lights for use in science experiments and invention projects. The following instructions can be modified to other similar items. 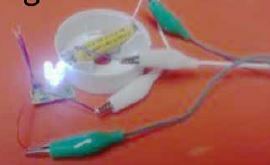 From these solar lamp/lights, the students will be able to hack for solar panels, high intensity LEDs, switches, rechargable AAA batteries, and parts. Grade Levels: College. Lesson length: 15 to 20 minutes. 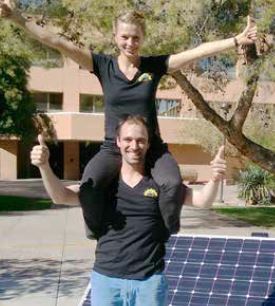 Photovoltaic IV testers (see fig. 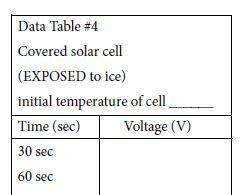 1) are able to accurately give measurements of solar cells’ voltage (V) and current (I) with light sources designed to recreate the sun’s intensity and light spectrum. The result of these IV tests is an IV curve (see fig. 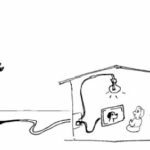 2), which is generated from a short-circuit current (ISC) (Amperes, A) point and an open-circuit voltage (VOC) (Volts, V) point. The cell’s actual measurements are compared to an ideal curve, which is generated by the short-circuit current (ISC) and open-circuit voltage (VOC) and the ratio of coverage by the actual curve is the fill factor (FF) (%). For this activity, the relationship between short-circuit current (ISC) and open-circuit voltage (VOC), the factors affecting them, their effect on fill factor (FF), and the physical use of an IV tester will be explored. 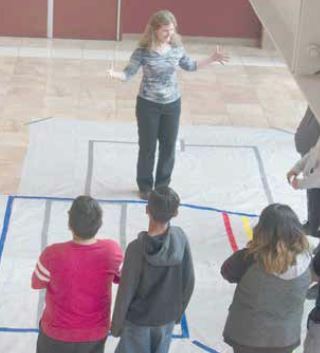 This activity is designed for 4-8 participants with 1-2 instructors. Grade Levels: Elementary and Middle School. Lesson length: 40 to 75 minutes. 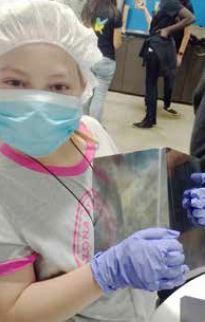 After learning about how solar cells are made in a solar lab, students re-create the multi-step process of making a silicon-based solar cell. 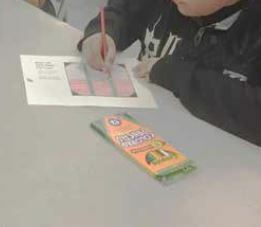 Following a diagram with labels and a key of materials used in the manufacturing of solar cells, students use construction paper and other materials (e.g., silver pens, saran wrap) to represent the materials in each layer of a solar cell. Students then make connections between their PV cell and a real PV cell. Grade Levels: Middle school and higher. Lesson length: 40 to 60 minutes. 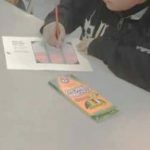 In this activity, participants will examine the effects of one factor, shading, on solar cell efficiency. 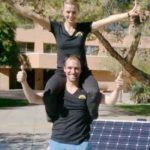 Their goal is to optimize the front grid design of a solar cell to minimize power loss by drawing their own custom designs on a pre-drawn solar cell front panel grid. 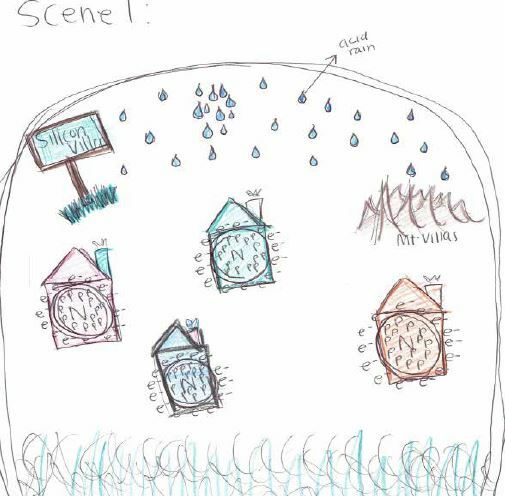 Students use a pre-determined formula to calculate the effects of shadowing on the cells’ efficiency, estimating power loss associated with their design in order to compare and improve their designs. Grade Levels: 5th–11th. Lesson length: 15 to 40 minutes. 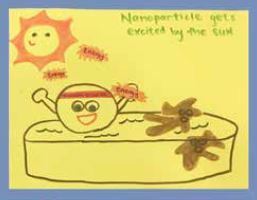 This activity is intended to help participants understand nanotechnology by enacting a model that demonstrates the power of nanotechnology for increased surface area for adsorption and light capture. Nanotechnology focuses on using particles between 1 and 100 nanometers, which are called “nanoparticles.” A small cluster of nanoparticles can have the same volume as a regular particle. However, because there are more nanoparticles than there is one regular particle, the surface area is increased, meaning the cluster will absorb more photons than one particle. These photons are then used to elevate atoms from the valence band to the conduction band. 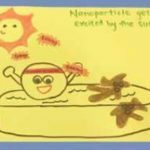 For this activity, the relationship of the particle/ nanoparticle sizes and their effectiveness in treating water and the energy needed to treat water will be explored. 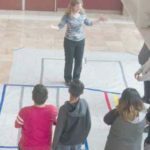 This activity is designed for 4–8 participants with 1–2 instructors. Grade Levels: K-12. Lesson length: 20 minutes. The sun produces radiant energy (light) that travels through space to Earth. Solar energy in one form or another is the source of nearly all energy on the earth. Humans, like all other animals and plants, rely on the sun for warmth and food. However, people also use the sun’s energy in many other different ways. We use the sun’s energy to see and to produce heat and electricity. 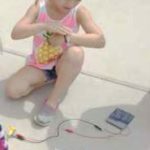 In this lesson, participants use UV beads and a pipe cleaner as well as a solar panel and a motor (already assembled) and go outside to observe how they work. Grade Levels: 4–8. Lesson length: 45 minutes. 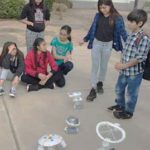 In this lesson, participants use a fan motor and solar panel to make measurements in different directions and angles. (North, flat; North, perpendicular; North, 45 degrees, South, flat, etc.). Grade Levels: 7-12. Lesson length: 60 minutes. Grade Levels: Elementary school and higher. Lesson length: 10 to 30 minutes. 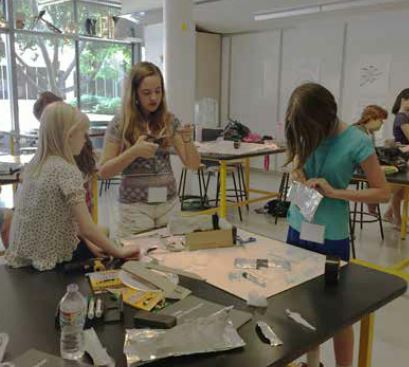 In this activity, participants make their way through the laboratory process of making diffused junction solar cells, creating their own mock solar cell to take home. 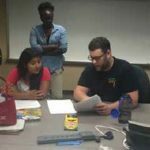 Participants follow these broad steps while learning how solar cells are manufactured, why these processes are done, and problems that that solar engineering scholars are attempting to solve via research. This activity is intended for a maximum four people per station, who move in a linear fashion down the line. Grade Levels: 6 (5-8). Lesson length: 15 minutes. In the timeless movie, “E.T. the Extra-Terrestrial,” released in1982 by Universal Studios, E.T., an alien lifeform, is stranded on Planet Earth and quickly becomes friends with Elliot, the little boy who finds him. After becoming gravely ill, Elliott realizes that E.T. needs to return home in order to save his life. However, in order to arrange for his transport, E.T. must ‘phone home.’ Students embark on a scavenger hunt in order to discover the answer to the question, ‘E.T. Phone Home: Fact or Fiction.’ Just in case you’re curious, E.T. DID in fact phone home . . . by bouncing a signal from satellite to satellite until he reached his home planet, powered through the miracle of photovoltaics. 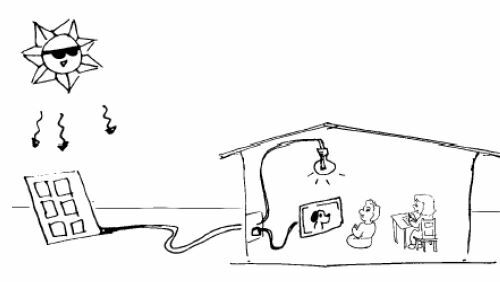 For this lesson, students should have a basic understanding that different forms of energy can be converted into electricity, which is then used to provide power to the world around us. Grade Level: 6 (5-8). Time length: 100 minutes. 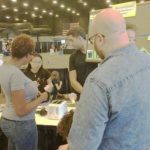 Students discover how the innovative science of photovoltaics harnesses the energy of the sun in order to power the world around us by transforming solar energy into useable power, electricity, through the use of photovoltaic cells. The popular 20th Century Fox movie, “The Martian,” released in 2015, highlights the important role of photovoltaics in space exploration, especially as we travel further and further away from home. 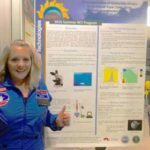 The science of photovoltaics faces unique challenges when used in the harsh realities of space, and the solutions to those challenges just might help us solve our energy crisis here at home on Planet Earth. 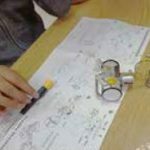 For this activity, students should have a basic understanding that different forms of energy can be converted into electricity, which is then used to provide power to the world around us. Grade Levels: 8th grade through high school. This lesson pre-supposes that students have completed a unit on atomic structure. 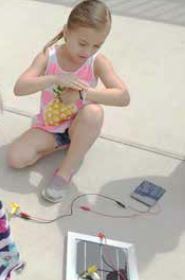 The activity was originally developed for a classroom unit on types of energy, as part of a sub-unit on solar. 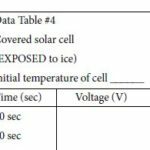 This activity should only be used with participants who already have background knowledge of how solar cells convert energy from the sun to usable energy; this lesson can help them consolidate and extend that knowledge. 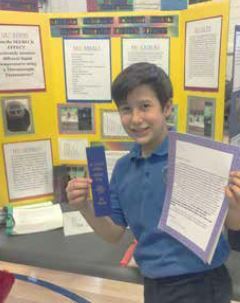 Participants interpret an original story of “Ella the Electron” through texts and pictures, engaging in substantive interaction with peers to negotiate their understanding and refine their knowledge of how charged electrons fill holes to form a p-n junction between semiconductors in a solar cell. 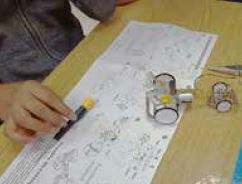 Participants then connect the story to an actual solar cell given an overview of the cell’s structure and vocabulary terms. 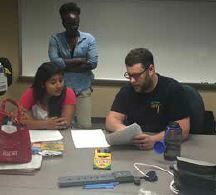 Students can be assigned to groups, with each group assigned a scene from the story, following by whole-group discussion. Download the Ella the Electron Lesson Here. Ella the Electron is part of a unit developed by RET Rebecca Hooper for her high school chemistry class titled “Energy in Action: What can you do for Solar?”. The full lesson is available here. Grade Levels: Community College (may also be appropriate for some high school classes and some university courses). Lesson length: 3 class sessions. This unit was designed to be used in general engineering courses in the community college setting. The unit is divided into two parts. On Day 1, students are introduced to the big picture of solar applications and they design a solar array for their home. On Days 2 and 3, students zoom in to understand how solar cell engineering tradeoffs affect solar energy applications. They learn how a solar cell works and designing a cell for optimization. Grade levels: Upper elementary and higher. Lesson length: 30 to 40 minutes. 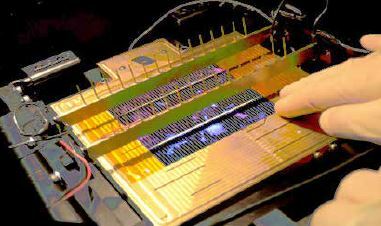 Participants kinesthetically enact the motion of electrons and photons to form a p-n junction, mimicking the production of electrical energy in a silicon solar cell. Introduction to Challenges & Competition Lessons by Michelle Jordan. 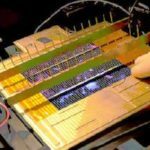 Article explaining some solar research topics using only the 1000 most common words in the English language. 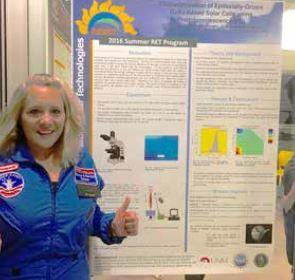 Experiences from two teachers with Solar Car activities in their classrooms. 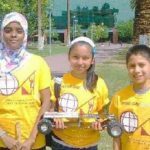 Welcome to the exciting world of the QESST Solar Car Challenge! 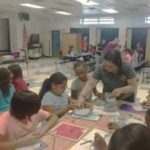 You have taken on a fun, exciting program that captures the imaginations and creativity of young people, while providing an opportunity for volunteers to share their skills and ideas. There may be some headaches along the way (especially if the sun doesn’t shine), but the result will be a great sense of accomplishment. 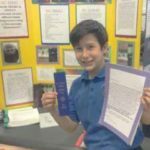 The feedback you will receive from the students, teacher/mentors, and volunteers that participate in this program will make all your hard work worthwhile. 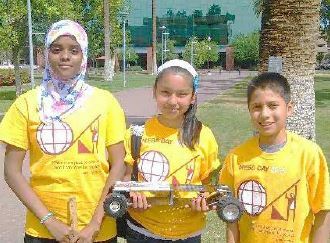 Welcome to the exciting challenge of solar cars! 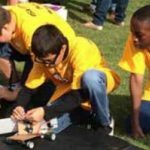 Here you will find the opportunity to design and build a solar car that completes an obstacle course with three challenges to gain the most points and be crowned the best! Or at least have some fun along the way. 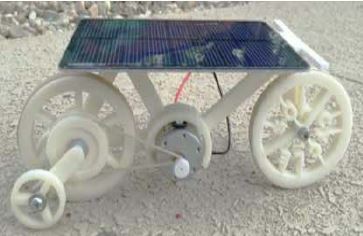 Many of you are familiar with solar powered cars. 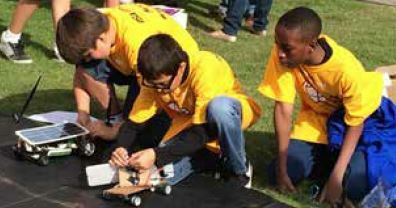 These challenges will help you dive deeper into exactly what makes solar cars run and how to optimize them so they can complete the jobs we want them to do. 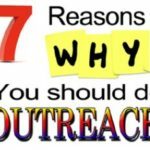 QESST Education just released a Solar Outreach Handbook. You can request a physical copy at qesst.slc@gmail.com, check the lesson plans online, or download an online copy now. An electronic textbook on photovoltaics and more is available at pveducation.org, a site maintained by the staff members at QESST.